Good news this month as the first of our major planning applications, the new road running through the District Centre, has been approved. We have now moved to the second design stage where we seek approval from the Local Highways Authority to the technical details of the road and prepare to appoint a contractor. The plans for the secondary school are progressing well with approval expected within the next month. Significant site preparation activity is underway on the site with the great crested newts being relocated and the stockpile of soil and sections of trees/hedgerows removed. Apart from a few short periods of torrential rain the weather has been fairly kind and progress is on track. We have also been working on the design for the first housing in Middle Wichel along with the marketing and branding approach. A fuller update will be provided next month. In this blog we are going to focus on the newest application submitted by Hall and Woodhouse covering the pub/restaurant and hotel that will sit alongside the canal opposite Waitrose. Hall and Woodhouse, a 240 year old, family-owned, Dorset-based brewer, has almost 200 pub/restaurants in the south west. You may also be familiar with their range of Badger Beers. This will be Hall and Woodhouse’s first pub in Swindon and we think they have come up with a really exciting design which will act as a focal point at the heart of the Middle Wichel. The design draws heavily on the influence of the canal and industrial heritage. The pub/restaurant, which runs along the canal aims to create a contemporary interpretation of a traditional boathouse with a distinct roofscape that reflects the uses of the building inside. The gabled roof over the bar is proposed to be considerably higher than all the others to create a sense of drama on the inside and to act as a landmark from the outside with lower roof pitches over the dining areas to create a cosier, calmer and warmer atmosphere. The hotel building will run alongside the existing road bridge and is much larger in scale to reflect the buildings in this area. The design will reference traditional canal wharf buildings and will be clad in dark stained timber cladding with zinc coated roofing. The hotel building will house 24 guest rooms as well as staff accommodation. I caught up with Hall and Woodhouse’s Director David Hoare to ask him about the plans for the pub. Q) What would you say is the most exciting element of the design for the new pub/restaurant? It is a contemporary salute to the importance of canals to Swindon and the UK in Georgian England. They were the internet of their day and central to the Industrial Revolution until railways took over. H&W Wichelstowe’s design will echo a canal-boat building yard and a merchant’s warehouse with strong influences from colourful canal art. It will be modern but deeply rooted in the themes and traditions of Swindon’s canals. Q) We particularly love the attention to detail given to the internal design of your pubs, will the same approach be taken here? Absolutely. It is a key mantra of our design team (possibly the best in the UK leisure industry) that every house must create a real sense of place, reflecting the locality and telling a story. We do intensive pre-work - research and sourcing of artefacts – to create wonderful environments that are the antithesis of the rather antiseptic design of many modern Urban Casual Dining restaurant. Q) Can you explain the H&W concept? The site will simply be called ‘Hall & Woodhouse. Wichelstowe’ and we now refer to it internally as ‘H&W’. 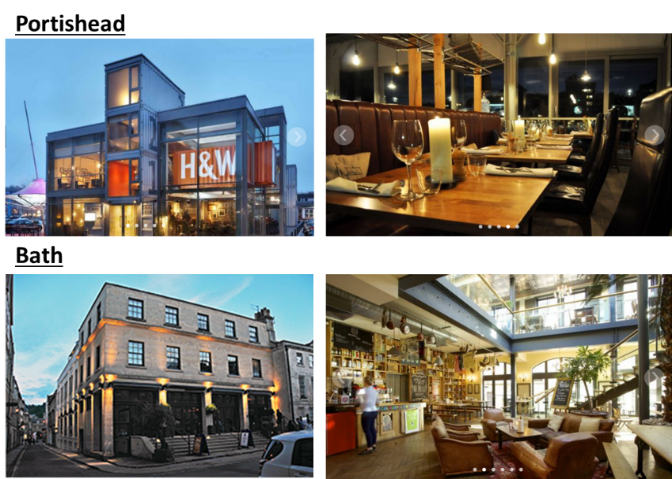 H&W is an urban, all-day, multi-occasion café, bar and dining room. In, and part of, the local community it will be THE place where locals and visitors alike come to belong, relax, share and celebrate from breakfast to bedtime. The offer enables Guests to do what they want, when they want, in an all-day trading format. At all times of the day there is a buzz - something going on. Whether you’re visiting in the morning for brunch; popping in for lunch after hitting the shops; a place to catch up with colleagues or friends after work; or a place to celebrate a night out at the weekend. H&W is original and independent. It embodies a lust for living and the good things in life combined with a laid-back attitude, sociability and tongue-in-cheek. The building and its team are infused with the same spirit of informal hospitality that you would receive from the Woodhouse family in their homes. Q) And finally, can you describe the new pub/restaurant in 3 words?